I used the Cutting Board Designer to come up with the pattern. Seemed like a good deal for $10. And of course, I used The Wood Whisperer’s video. 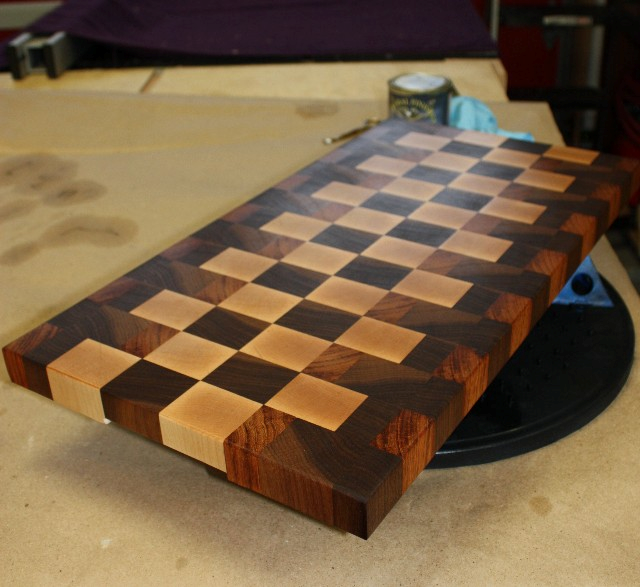 This board is made of walnut, maple and jatoba. Not as nice as your stuff! Wow http://millcrek.wordpress.com/ ! Looks great Marilyn, what did you use for the finish?